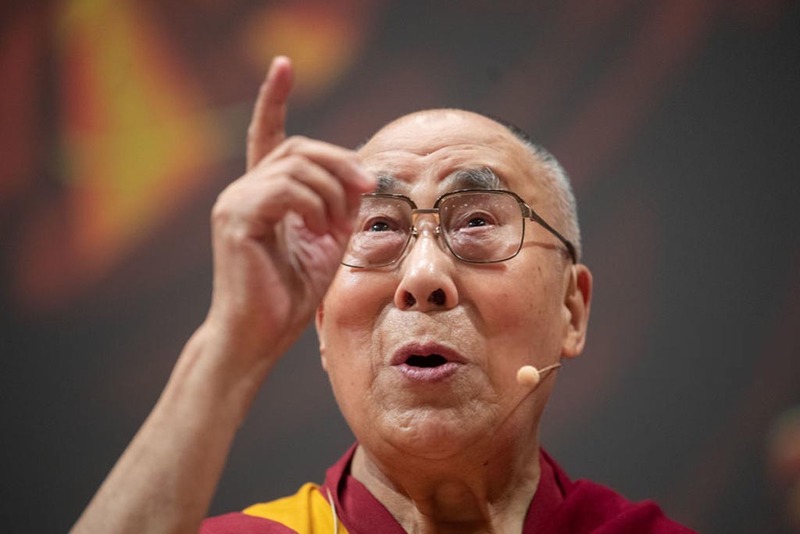 China Tuesday rejected the Dalai Lama’s assertions that his successor could be from India and a nominee by Beijing would not be respected, saying the next spiritual leader of Tibetan Buddhism has to be approved by the Communist government. China’s response came after the 83-year-old Nobel peace laureate told a news agency on Monday that it was possible that once he dies his incarnation could be found in India and and warned that any other successor named by China would not be respected. Amidst the Tibetan uprising in 1959, the Dalai Lama fled to India in March that year to escape a Chinese crackdown in his Himalayan abode. While I ponder over this crucial matter; of the reincarnation of the 14th Dalai Lama,i am highly surprised by the way the CCP led regime weaving such false notions and dis-filtering the minds of millions of people. It seems China has gained notoriety in dealing with the truth, which it has after what they had done to Tibet. The CCP regime now being the anchor of the world’s economy believes in the power of money and the barrels of the gun. Though it has centuries old history but still then they lack the power of truth. Time will definitely come, obviously as the universe itself is changing, when china will forever remain guilty for what they had done to the weak and the oppressed. The bad karma they had accumulated shall outweigh their vision. The arrogant CCP who has shown nothing but contempt for HH The Dalai Lama has no right whatsoever over the selection of future Dalai Lamas. This is ONLY for the high Lamas of Tibetan Buddhism to find out who is the future reincarnation of the Dalai Lama and nobody else. This is haloed ground for the holy Lamas and Yidam (deities) to decide and definitely NOT for heathen apostate like the CCP. Those who regard religion as poison have no right to interfere in religious affairs. They destroyed more than 6000 Tibetan monasteries and centres of learning, destroyed and burnt priceless Buddhist holy texts, used holy mani stones for toilet stones and subjected Buddhist monks and nuns to torture, murder, imprisonment and forcible defrocking which reduced Tibet to rubble and ruination now claim to “respect” Tibetan Buddhism!!!! Even today, they are demolishing monasteries like Larung Gar, expelling monks and nuns and school children are forbidden to participate in religious activities and yet they still have the audacity to claim such load of rubbish as having “respect”. The right to install the Dalai Lama’s reincarnation lies SOLELY with the Dalai Lama trust and the Exile-Government of Tibet. No other nation or entity has any right to claim or interfere in this process and it’s outcome. The Dalai Lama’s reincarnation return to the world for the purpose of preserving and propagating the teachings of the Buddha and not for political reasons. The CCP regime is desperate to high-jack the reincarnation of the 14th to serve their vested interest in ruling Tibet by proxy. Their dismal failure in Tibet is driving them to insanity to dare to claim such reckless notion as The Dalai Lama needing “approval” from the very regime which seeks to destroy Tibetan Buddhism and its adherents.